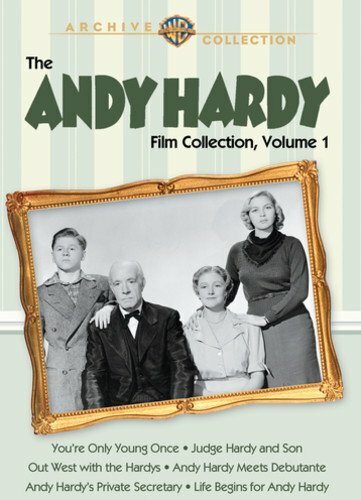 The Andy Hardy films are a snapshot of Hollywood’s idea of small town Americana, circa 1936-1944. Simple, familiar, full of family values and homespun wisdom handed down by the thoughtful, white-haired patriarch (who just happens to be the local judge), these films defined MGM head Louis B. Mayer’s ideal of American values on the modern age. Carvel, the Midwest town where the Hardys live and prosper (apparently close enough to New York City to make the occasional trip in to the Big Apple) could be the model for the Bedford Falls of It’s a Wonderful Life, minus the tyranny of Mr. Potter. Instead, we get Judge Hardy, whose slow-talking paternalism and school teacher-ish commentary suggests nothing less than the bench equivalent of a country doctor giving his constituents their castor oil of justice. (It’s to Lewis Stone’s credit that he brings a sly sense of humor to the performance at appropriate moments.) This is the world of traditional values and responsibility that shapes the character of Andy Hardy, who grows up through the series. Corny? Sure. Conventional? It defines convention. Surprising? Not in the least. 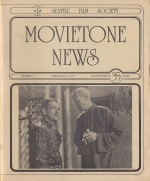 There is a certain midddlingness of American filmmaking here, with no real wit involved in the writing or directing (and this at a time when the screenwriting rooms were filled with wits) and little of the smooth yet snappy chemistry that MGM’s stable of stars and character actors routinely mixed into the studio’s cinema cocktails. George B. Seitz directed all of the first fourteen films, and all six of the films in this set, and he approaches each film with an anonymous professionalism that improves with time without actually distinguishing itself or defining the films. What these films have is Mickey Rooney, the spring-loaded ball of energy who grabbed the spotlight whenever he appeared on screen and soon powered the series. And in that sense, the series also chronicles the rise of a career. Rooney was but a promising young juvenile actor when he created the role of Andy Hardy in A Family Affair (1936). He was just one of the family players, albeit a standout in a cast headlined by Lionel Barrymore and Spring Byington, and one of the few actors to return for the sequel You’re Only Young Once (1937), the first film to feature the Hardy family as we know it, with Lewis Stone as Judge Hardy, Fay Holden as wife and mother Emily and Sara Haden as his Aunt Milly joining Rooney and Cecilia Parker as his older sister Marian. He had a gift for comedy, drama, song and dance, and strong screen presence that invested his roles with a buoyant personality and a spirited energy.